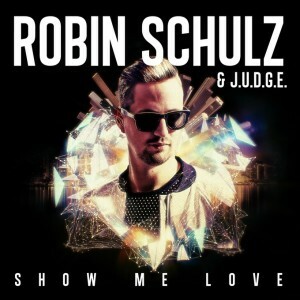 • German DJ Robin Schulz has done alright for himself over the past couple of years, hitting the top ten in Australia over and over again with singles ‘Waves’, ‘Prayer In C’, ‘Sun Goes Down’, ‘Headlights’ and, most recently, ‘Sugar’. Now he’s hoping to replicate the success again with his latest single ‘Show Me Love’, which was serviced to Aussie media this week. • Rihanna’s latest single ‘Work’ is already on the slide. Though it made it as high as No.1 on the iTunes chart after its release last week, the single was quickly replaced in the top spot by former One Direction star Zayn’s debut solo effort ‘Pillowtalk’. She’ll take comfort from the fact that her album ‘Anti’ is faring a little better. • Fan of ’90s Aussie pop? Then you’ll love the interview we have going live for you tomorrow morning. Toni Pearen chats to auspOp guest writer Chris about everything from her time on ’90s soap ‘E Street’ to her music career, the unreleased second album, acting and what she’s up to now! • ‘X Factor’ 2012 runner-up Jason Owen will release his new album ‘Proud’ in April. Though there’s been no confirmation yet about the specific release date, the lead single from it, ‘Run’, has now been delivered to Australian media ahead of its release on Friday. The video (which Jason has been teasing on his socials) is also due to drop on Friday. • The local leg of Josh Groban’s ‘Stages’ world tour has grown a little more, with confirmation of a fourth concert at the Sydney Opera House Concert Hall in April. His first three shows at the venue (on April 19, 20 and 21) have now fully sold out, with the new date set down for Saturday April 23. Tickets are on sale from 10am local time on Friday. • London trio Daughter will return to Australia in April for headline shows in both Sydney and Melbourne. They’ll play The Metro Theatre in Sydney on April 10 and 170 Russell in Melbourne on April 11. Tickets are on sale from 9am local time tomorrow, Thursday February 04. • And US singer Ryan Bingham will also tour Australia in April. The Academy, Golden Globe and Grammy Award-winning star has confirmed live shows in Sydney, Melbourne, Brisbane, Newcastle, Bendigo, Byron Bay and Cronulla, starting with a date with The Basement stage on April 22. Tickets are on sale from midday on Monday February 08. Are you serious Toni Pearen!! I still have everything. I am obsessed. Oh deliver this upon my eyes…and unreleased 2nd album!! Never even knew. She could sing.